This trigger guard increases the amount of space by the trigger making it easier to shoot with gloves. High quality enhanced aluminium trigger guard, for le$$ than polymer. The angle blends perfectly with the line on the magwell, you want this one! Purchased this guard to use on a new build and found it to be an excellent quality part and half the price of other similar guards. I recommend this guard. I liked the quality of this trigger guard. As soon as I touched the bag I knew it was good quality. It was heavier than the one I paid $ 3 more for at primary arms. 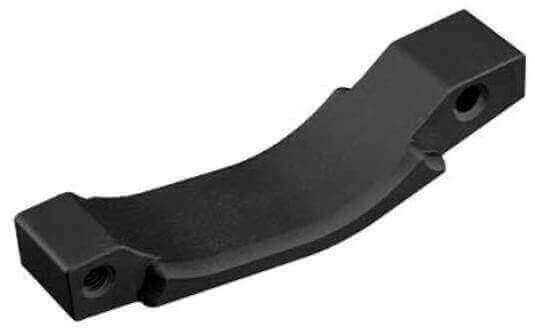 Every AR-15 needs a Trigger Guard, why spend more than you have to? AT3 makes a great one & ships it fast, for less. I haven't installed it yet but it got me up to the free shipping amount. So five stars!